Green "Horseshoe" (no. 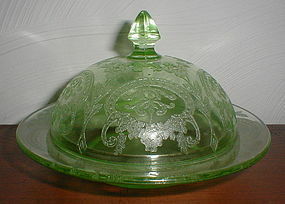 612) Butter Dish in excellent/mint condition with no defects or damage. Not even any utensil marks. This is a really nice one. Listed price includes priority insured shipping in the continental US.